The standard unit of measurement (at least in SI units) is about to be “redefined”. No, it is probably not your fault that you haven’t heard of this earlier, as the idea is still in the pipeline. But this “redefinition” of the Kilogram has brought up another interesting object; that is the world’s roundest object! 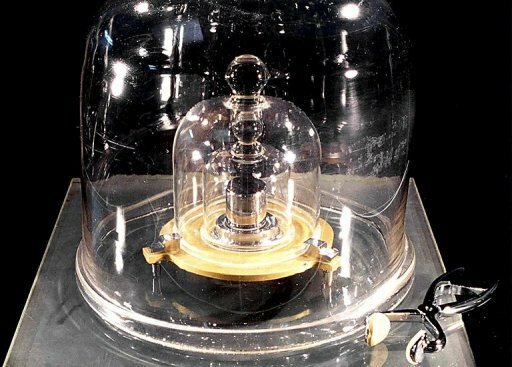 The Avogadro Project in Australia has been trying to solve the kilogram problem for ages now, and the creation of “world’s roundest object” is another stride in that direction. 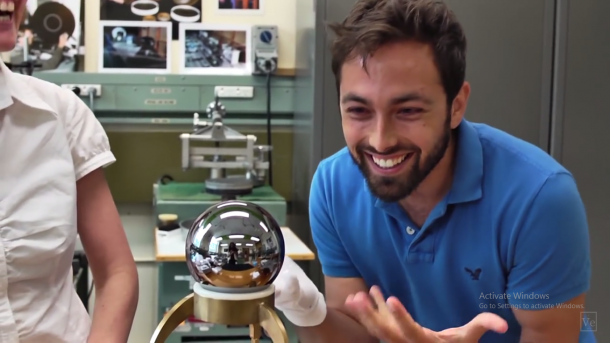 Wait, there is a problem with the kilogram now? Apparently yes, as unlike other scientific units which can be measured theoretically based on their intrinsic natural properties, the definition of kilogram is still based on a particular physical object. That object is a cylinder of platinum and iridium which is dated back to 1889, and for unknown reasons, the mass of the cylinder keeps on changing. And when compared to 40 exact replicas of the cylinders kept in different environments, all of them don’t weigh the same; which obviously is a grave problem. This means that while all other standards of measurements are permanent, the kilogram is nothing more than a physical mass that lying around in a secured vault at the Bureau International des Poids et Mesures in Paris, constantly changing its value. 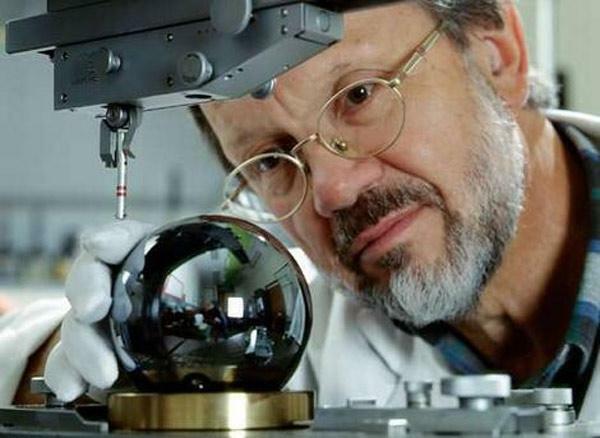 So in order to solve this dilemma, researchers at the Australian Centre for Precision Optics crafted a “nearly perfect sphere”, which was made out of highly pure and stable form of silicon. The call it the world’s roundest object, and it is 1 kg sphere made out of silicon-28 atoms. The raw material needed to create this was worth a whopping 1 million euros; but after hundreds of man hours spent on its careful sculpting; it is absolutely priceless. The process of creating the world’s roundest objects is quite intriguing, with reports suggesting that two spinning rotors were used to continuously grind them for several months. After the grinding process, computer-guided lasers were used to measure the sphere for slight deviations that we then corrected by hand, and after all that this round beauty came into being. The sphere is so round that if our planet earth had the same roundness in theory then the distance between the highest mountain and the lowest valley on Earth would be only about 14m! Try to digest that! By calculating the sphere’s volume and weight and using the knowledge of atom spacing in a silicon ball, the scientists are able to determine the exact number of silicon atoms in the object; which came out to be about 2.15 x 10^25 atoms. Thus, they can provide an unchanging definition for the mass of a kilogram using this sphere. It will be unchanging as the sphere has no edges that might get damaged, thus with only one dimension to measure (its diameter) it is quite easy to calculate the fixed volume. Similarly, another method has also been devised to cater for this Kg definition problem, and it’s called the “watt balance”. It is system which is essentially tied to Earth’s gravitational pull on one kilogram and the force needed to counteract it. Although today we have found these two alternate methods of measuring the kilogram, the standard still remains to be a cylinder that’s more than 120 years old. Hopefully one day this exquisite round sphere will take its place for the sake of scientific correctness. Have anything else to add to this piece ?